Jordan Brand is known for their basketball shoe, but they are also making their name with the trainer shoes and football shoes as well like the new Jordan RCVR. 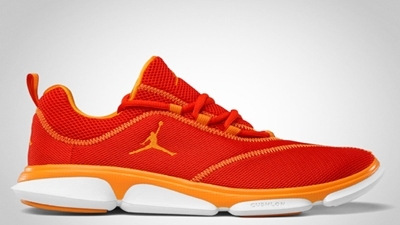 One of Jordan Brand’s new models this year, the Jordan RCVR is looking to impress once again, this time in Team Orange/Vivid Orange-White colorway. This silhouette looks pretty solid and is definitely an eye-catcher mainly because of its strong colorway. But aside from the looks, this will also give you top-class comfort and super performance-based qualities. This will hit shelves anytime next month for just $85, which is definitely lower compared to what you will get from this sneaker. Air Jordan 1 Phat Available Now!